Book trailer - "LEONA - utan mänskligt värde"! New Swedish book trailer out now! Swedish second book cover revealed! LEONA NOW RELEASED IN NORWAY! En syv år gammel jente går naken og blodig inn i en bank i Stockholm midt på dagen og klarer å få med seg et millionbeløp. Det usedvanlige ranet vekker stor oppstandelse. Den unge Leona Lindberg, kriminaletterforsker for grove forbrytelser, får saken. Etterforskningen avdekker en rekke merkelige omstendigheter, og sporene peker mot uventet hold. Leona er kjent for sin dyktighet, men er samtidig en egenrådig politietterforsker som bruker uortodokse metoder hvis det gagner hennes etterforskning. Terningen er kastet er første boken om Leona, det er en krim som handler om å bryte normer, om livsvalg og skamløse forbrytelser. "Criminal investigators who writes bestsellers"! The Swedish daily newspaper "SvD" starts off the year of 2016 by writing an article about Swedish criminal investigators who writes bestsellers. You can read the article (in Swedish) HERE. Jenny Rogneby is a criminologist and former criminal investigator at the Swedish Police Force in Stockholm, but after the success with her debut crime novel "Leona - The die is cast" she now works as a full time author. Follow her on FACEBOOK and INSTAGRAM. Leona and Lisbeth Salander. Scandinavian crime was on the program at the crime festival "Crime Cologne 2015" with two readings on stage: Jenny Rogneby and the "Millennium" author David Lagercrantz. The audience got their book signed afterwords. Jenny and David had time to chat a little backstage. On the picture; host Antje Deistler, Jenny, and actress Julia Nachtmann who read parts of LEONA in German. Thank you Crime Cologne and the wonderful audience for a great festival! Photo shoot with Gunther gluecklich! Photo shoot in Hamburg by the great German photographer Gunter Glücklich. Copyright: Gunter Gluecklich - www.gunthergluecklich.com. Contact photographer prior to any publication. The reading at Braunschweig Crime Festival was held inside a bank, which was suitable since LEONA - The die is cast starts off with a bank robbery. Jenny read the first scene in the book, and then the host/actor, Raphael Traub read some parts of the book and interviewed Jenny about her writing and the characters before the audience got the chance to ask some questions. The evening ended with a very long line of new readers that wanted to have their copy of LEONA signed. Thank you Braunschweig Crime Festival and all visitors for a terrific evening! Leona in book store windows, germany! LEONA - Die wurfel sind gefallen displayed in the shop window at the large German bookstore chain "Mayersche Buchhandlung". Here in good company with Stephen King's new novel. Harber front literature festival - sold out! 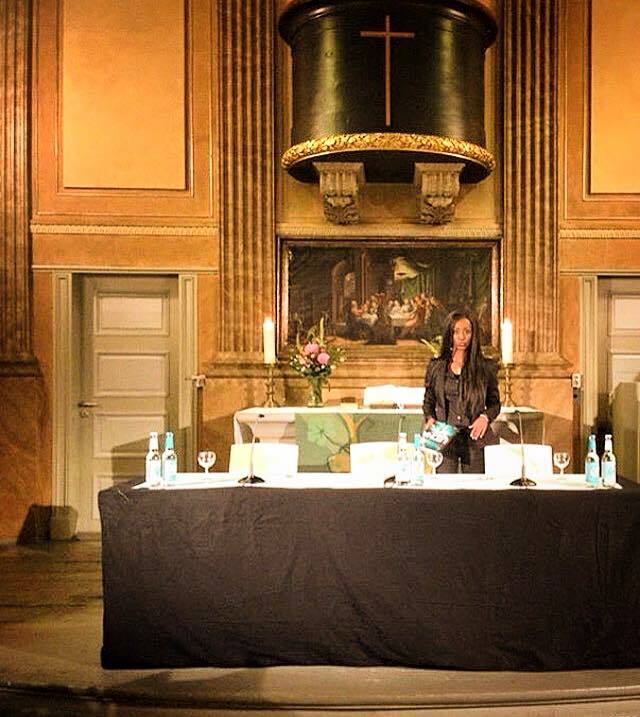 This reading took place in St. Pauli church in Hamburg. After a welcoming speech from the pastor, the reading started in the fully packed church. There were no Leona books left after the signing. Thank you Harber Front Literature Festival and all new readers for a great evening! 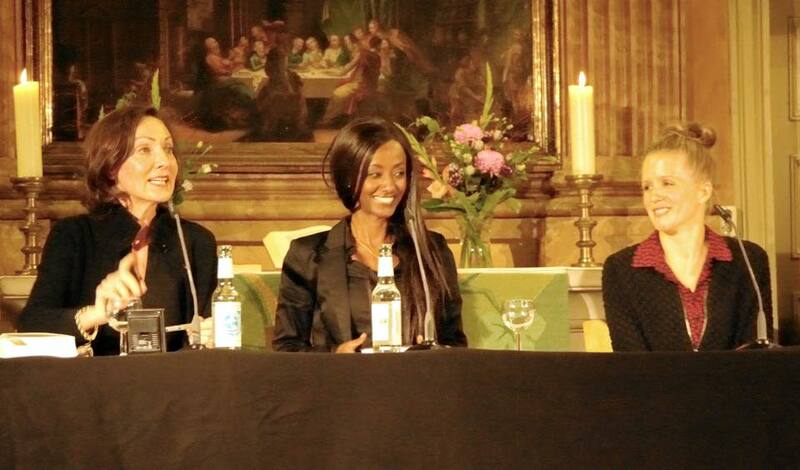 On the picture: host Juliane Hielscher, Jenny, and actress Julia Nachtmann who read parts of Leona in German. "Mordsharz" Crime Festival - sold out! The LEONA Reading Tour in Germany started at "Mordsharz" Crime Festival. The reading took place in a huge building, a museum, in Goslar. It was sold out but they managed to squeeze in a few more seats for extra visitors. After Jenny read a part of her book actress Julia Nachtman continued the reading in German. After that the host Christoph Lampert interviewed Jenny before the book signing started. Thank you Mordsharz and everyone that came to listen, for a great event! Leona Now released in Hungary!!! 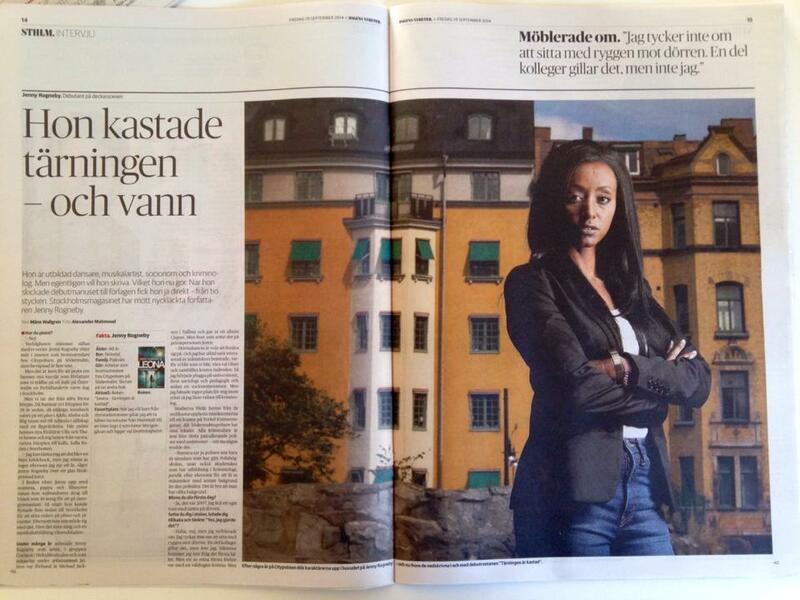 Leona - a bestseller in Sweden!!! The publishing house Bonnier invited Jenny to celebrate the great Leona success, with a delicious cake and champagne. The second book in the series will be launched in Sweden in April 2016. Jenny on the red carpet at the yearly Swedish fashion award show "Guldknappen 2015". She was named one of the best dressed guests by Hänt.se. The German TV program "TTT - Title Thesen Temperamente" flew all the way to Malta, where Jenny now lives, to talk to her about her life and her successful debut novel LEONA - The die is cast. The TV portrait was broadcast in the world's lagrest public service broadcaster, Germany's TV channel ARD. You can see the portrait by clicking at the picture below. Germain's largest women's magazine BRIGITTE, with an estimated readership of 3.6 million, flew down to Malta for an interview with Jenny. In this four pages portrait you get to know more about Jenny's childhood, her writing, her work as a criminal investigator and her book, LEONA. Leona - now released in germany!!! "LEONA - DIE WÜRFEL SIND GEFALLEN"
Stockholm: Ein siebenjähriges Mädchen betritt blutüberströmt eine Bank und schaltet einen Kassettenrekorder ein. Eine Stimme fordert Geld im Austausch für das Leben des Kindes. Die Angestellten sind entsetzt. Kurz darauf verlässt das Mädchen die Bank mit sieben Millionen Kronen und verschwindet. Der Fall macht Schlagzeilen. Bei der Polizei wird Leona Lindberg mit den Ermittlungen beauftragt. Leona ist 34, verheiratet und selbst Mutter von zwei Kindern. Sie gilt als Außenseiterin, doch ihr Ruf ist tadellos. Aber diesmal führen ihre Ermittlungen in eine Sackgasse, denn von dem Mädchen fehlt jede Spur. Und jeder scheint etwas zu verbergen. Allen voran Leona selbst. Glauben Sie nichts - und machen Sie sich auf alles gefasst. Leona - RELEASED in Australia & New Zealand!!! "Leona - The die is cast"
A naked and bloody seven-year-old girl walks into a bank, clutching a grubby teddy bear. She plays a threatening recording, demanding money. No one dares intervene. The child leaves the bank and disappears, without leaving a trace of evidence. This daring robbery is trusted to highly regarded investigator Leona Lindberg of Stockholm’s Violent Crimes Division. But why is Leona ignoring witness statements, and calling in suspects on the barest thread of suspicion? When a second robbery takes place, how does she manage to be the first one at the scene? Leona: The Die is Cast is a gripping crime thriller featuring an unusual heroine who holds on to reality by the skin of her teeth. In life, as in poker, Leona is unwilling to fold, despite so much being at stake. Jenny Rogneby's LEONA - THE DIE IS CAST has been nominated for the crime writing award "Crimetime Specasavers Award 2015" in Sweden. LEONA, released in paperback at the end of Mars 2015, quickly became a success in Sweden's largest bookstore chain Akademibokhandeln. In April it went straight to number 1 on the toplist for best selling paperback novels in Sweden. 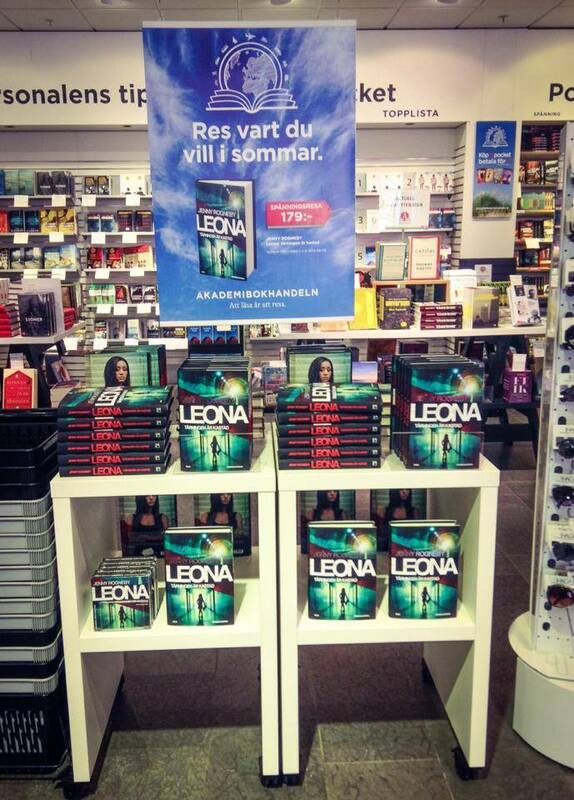 LEONa displayed in book stores all over swedeN! Jenny - "Crime writer of the year - 2015"! Swedish magazine "Damernas Värld" has selected the seven women that everyone will be talking about in 2015. With her successful debut crime novel Jenny was chosen for the title "CRIME WRITER OF THE YEAR". Leona - sold to 10 countries!!! 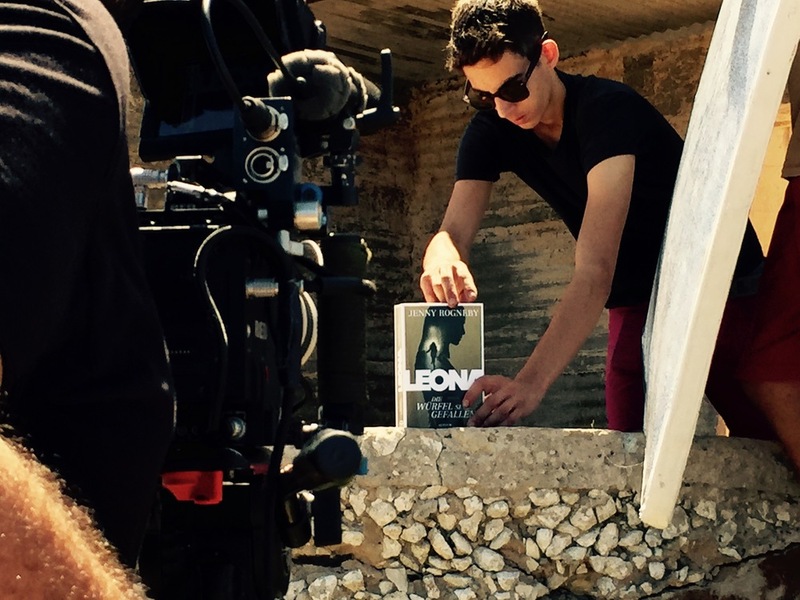 LEONA has received a lot of attention from publishing houses around the world. Agreements have been made for releases in the following 10 countries: Sweden, Denmark, Norway, Finland, Germany, Netherlands, France, Hungary, Australia and New Zealand. "Leona - Tärningen är kastad" read by Swedish actress Mirja Turestedt (Milennium, Arn) is nominated for best audiobook 2014. Jenny Rogneby's crime debut, Leona-The Die Is Cast, has become a bestseller in the author's native Sweden, after being released in July by Wahlstrom & Widstrand. After a seven-year-old girl walks into a Swedish bank and gets away with millions, Leona, a detective with severe antisocial tendencies, agrees to work the case. Three books in the series have sold to Gyldendal (Norway), Politiken (Denmark), Prometheus (The Netherlands), Atrium (Germany), Five Mile Press Australia (ANZ rights) and Presse de la Cité (France). The author is a criminologist and former police investigator. The originating agency, Partners in Stories, also reports strong interest from film and TV producers. 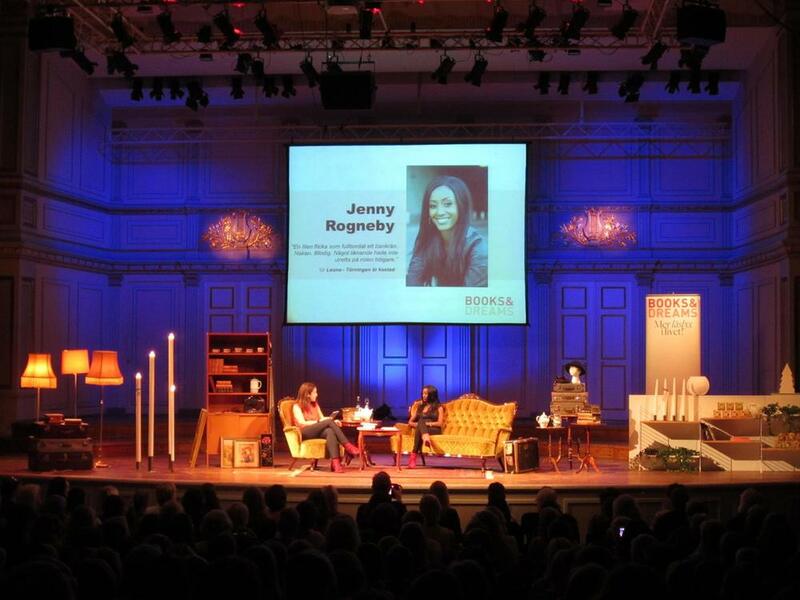 Jenny presents her crime novel LEONA in Gothenburg for booksellers from all around the country. Organised by Swedish publishing house Bonnier. Swedish newspaper "Expressen" writes about successful Scandinavian crime fiction such as Stieg Larsson's "The girl with the dragon tattoo". Jenny Rogneby (photo) is mentioned as one of the most important new upcoming authors. Read the full article here. Swedish magazine Books & Dreams' editor in chief Carina Nunstedt interviews Jenny on stage at their book event in Stockholm. Watch the full recorded interview here (Swedish). LEONA, number 2 at Sweden's lagest book chain Akademibokhandeln's toplist over sales in September 2014. 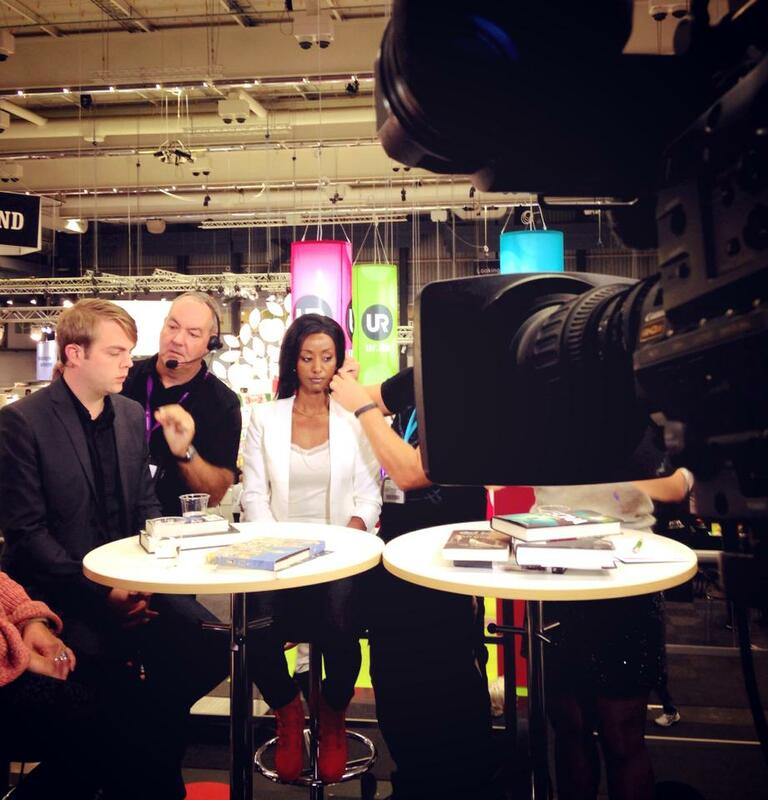 Jenny presents her book and talks about the crime fiction genre on stage, TV and seminars at Gothenburg book fair 2014. She also got the chance to meet some of her readers at the book signings. Front page Daily News - "Göteborgsposten"! Jenny was invited to the TV show "Malou efter tio" in TV4 to talk about her new book. Watch the full interview here. Front page Swedish newspaper - "DAGENS NYHETER"! Swedish Public Service tv - Svt! Jenny interviewed by SVT News host Linda Nyberg. Watch the full interview here. Jenny guest in Swedish TV-show "Sommarkväll"! Jenny was invited to Gothenburg where Swedish national public service TV broadcasts the summer program "Sommarkväll med Rickars Olsson" to talk about LEONA. Watch the full recorded SVT interview here. Leona - Tärningen är kastad, number 1 in the crime- and thriller fiction genre at Sweden's largest e-commerce book stores Adlibris and Dito. LEONA now displayed in stores all over Sweden!